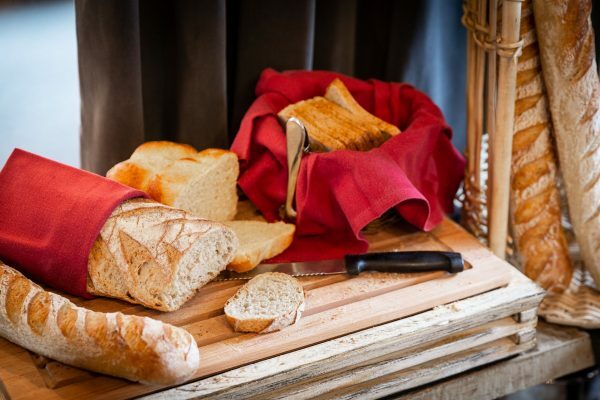 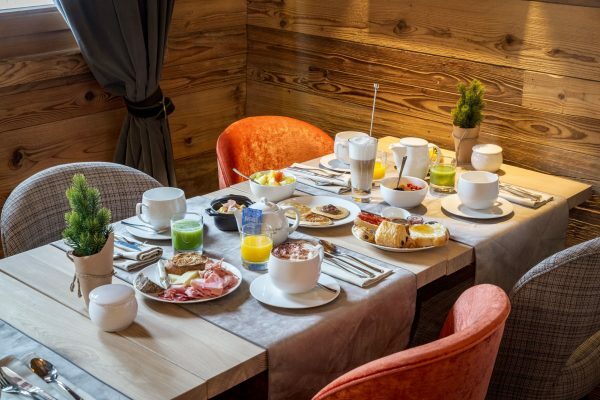 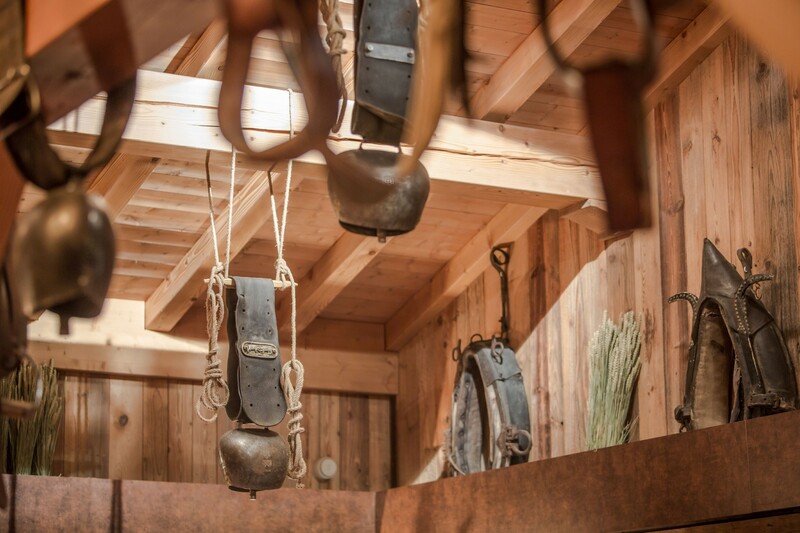 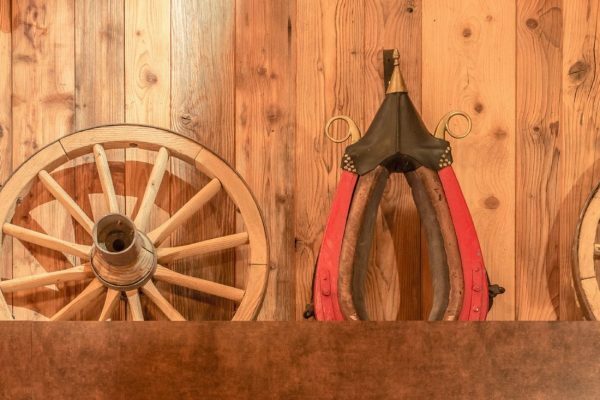 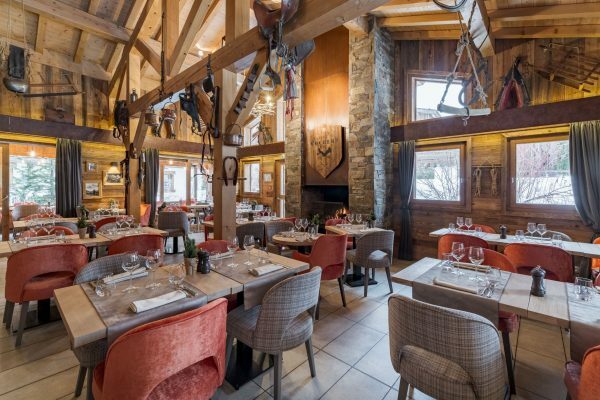 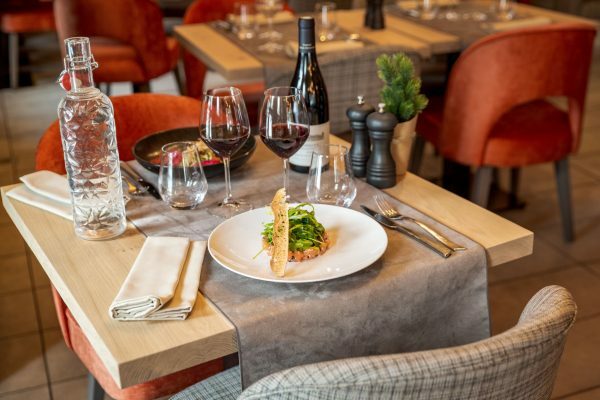 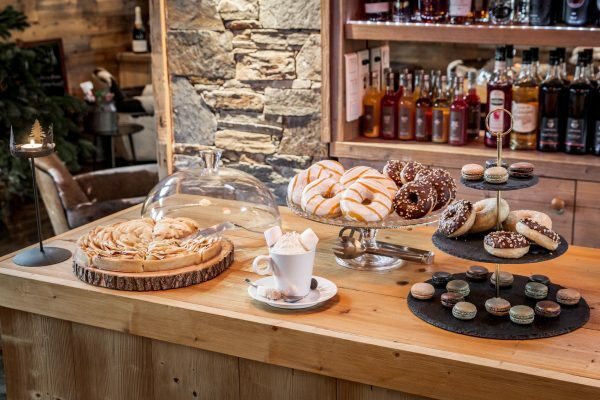 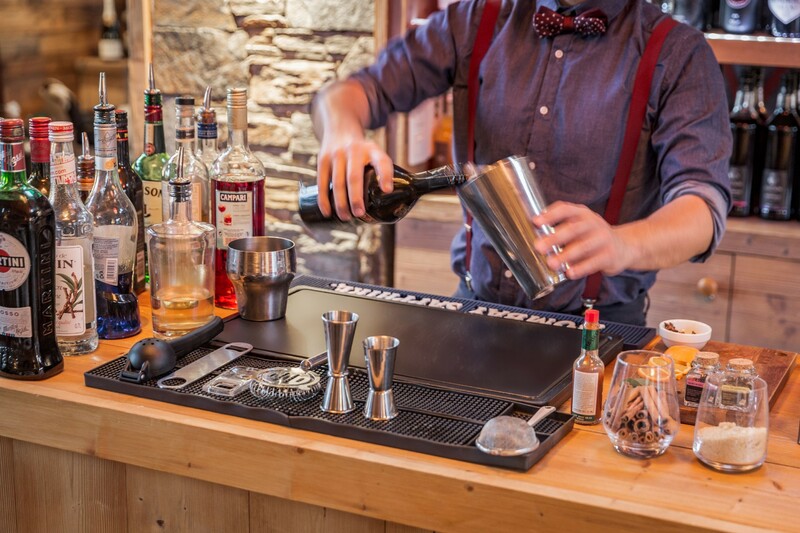 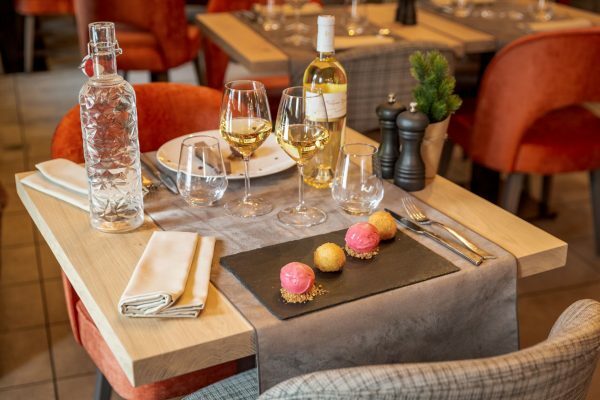 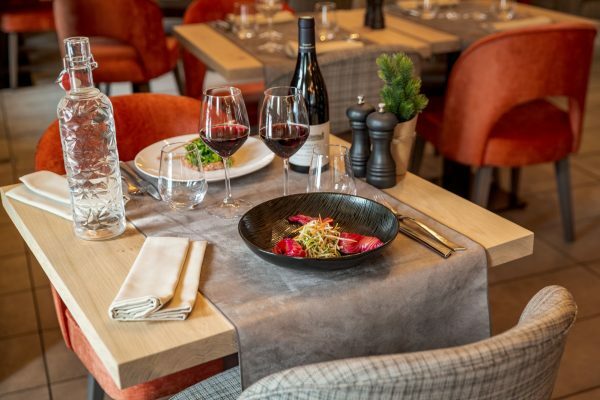 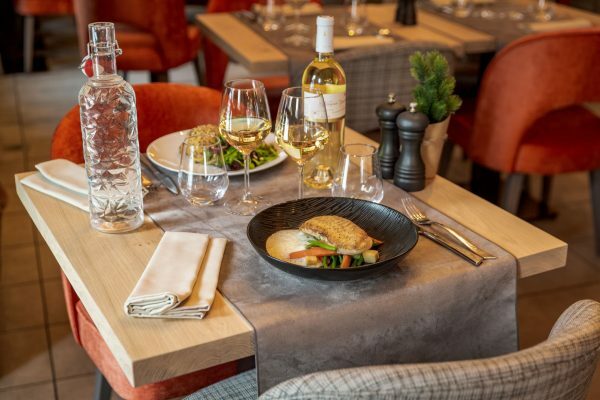 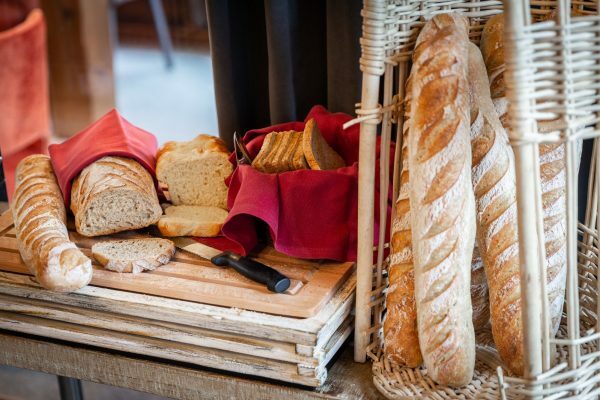 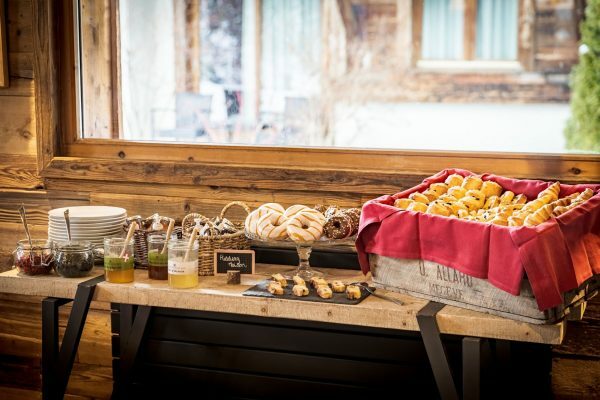 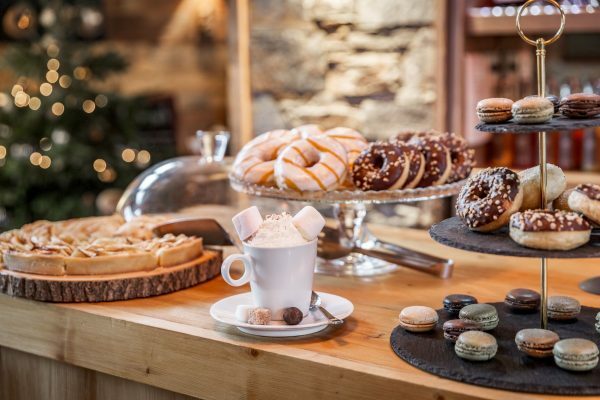 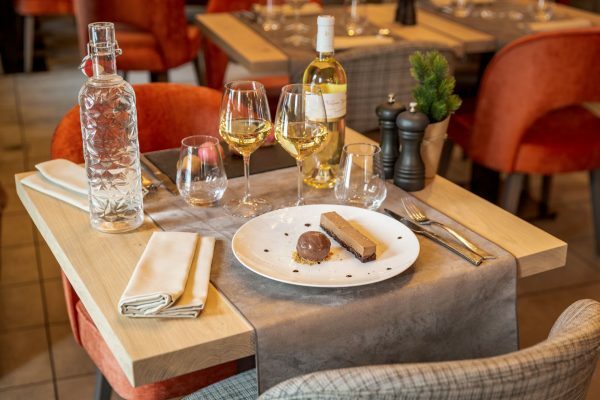 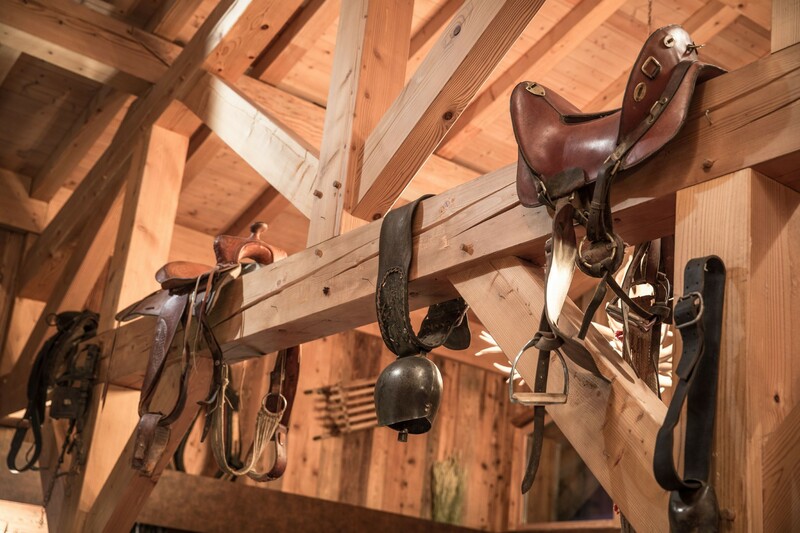 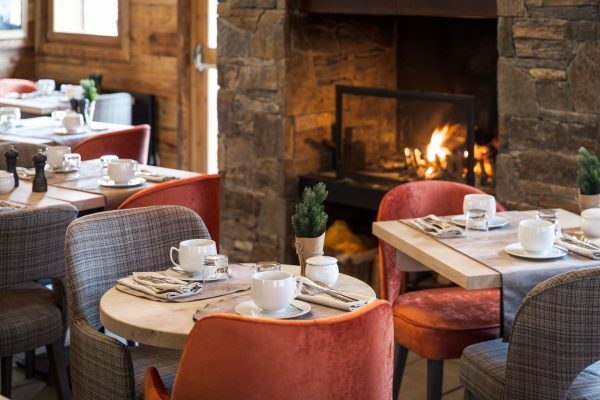 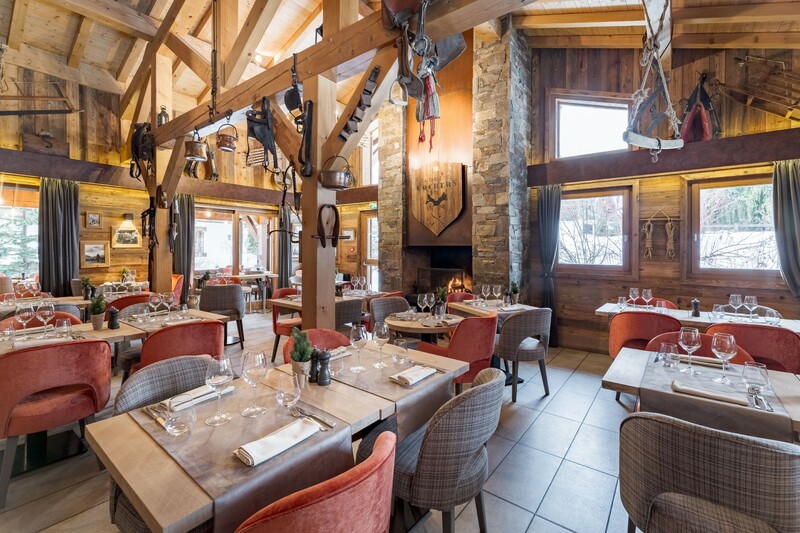 In Megève, the art of French living is omnipresent and is found in the restaurant La Table des Cochers and its bar with a warm and friendly atmosphere. 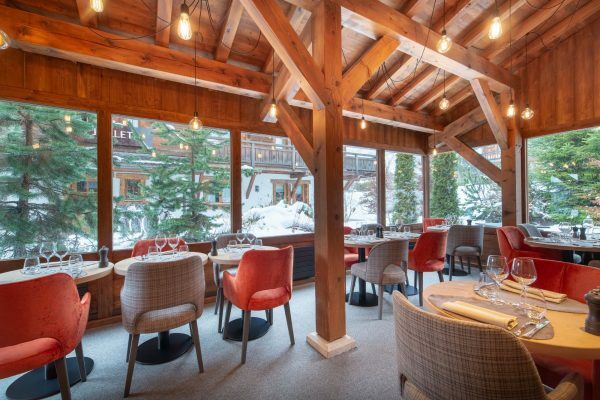 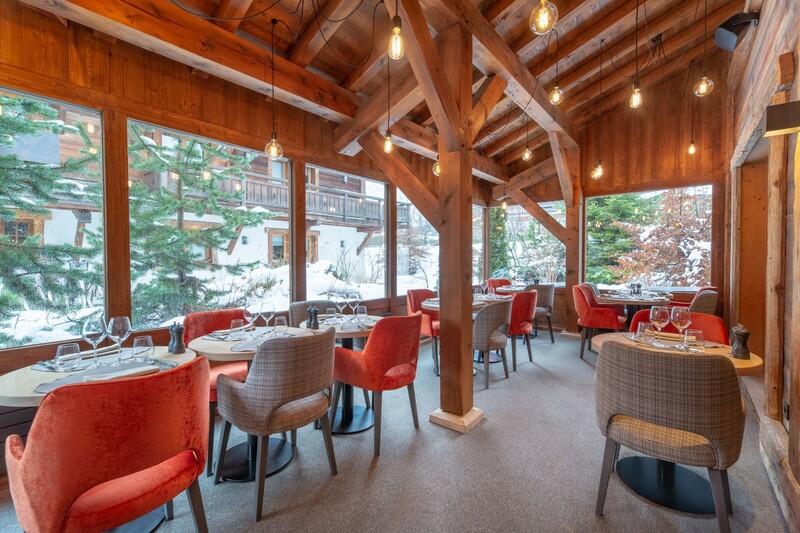 On the Table des Cochers side, dinners take place in the warmth of the open fire or in the veranda opening onto the illuminated chalets and the snowy landscape. 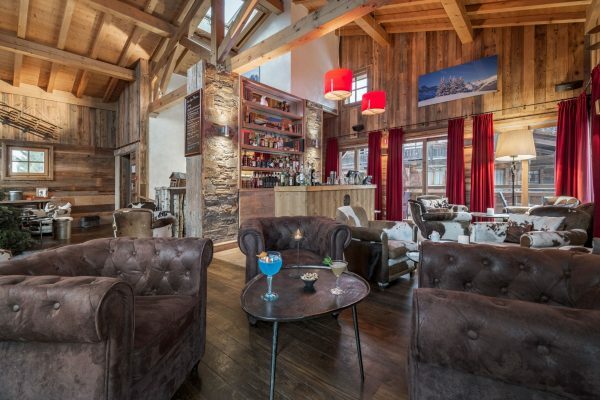 On the Bar des Cochers side, the gourmet breaks are shared comfortably in the armchairs, the drinks are sipped under the subdued lights, the aperitifs and the end of evenings are savored to the rhythm of the felted music. Gourmet bar also available outdoors. The Table and the Bar des Cochers are open to all, guests of Loges Blanches, regulars and visitors. 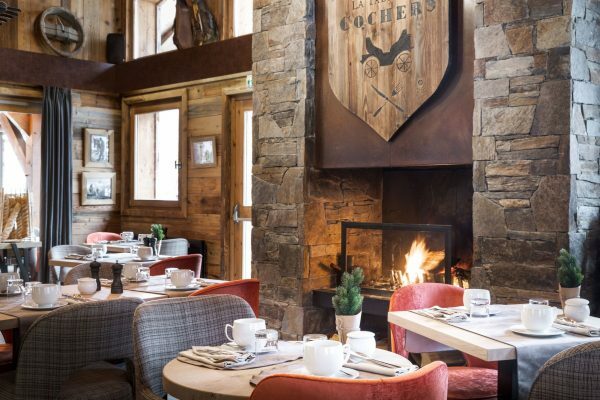 Open during the winter and summer season, La Table des Cochers adapts its menu every season and also offers a menu for little epicureans and a vegetarian dish. 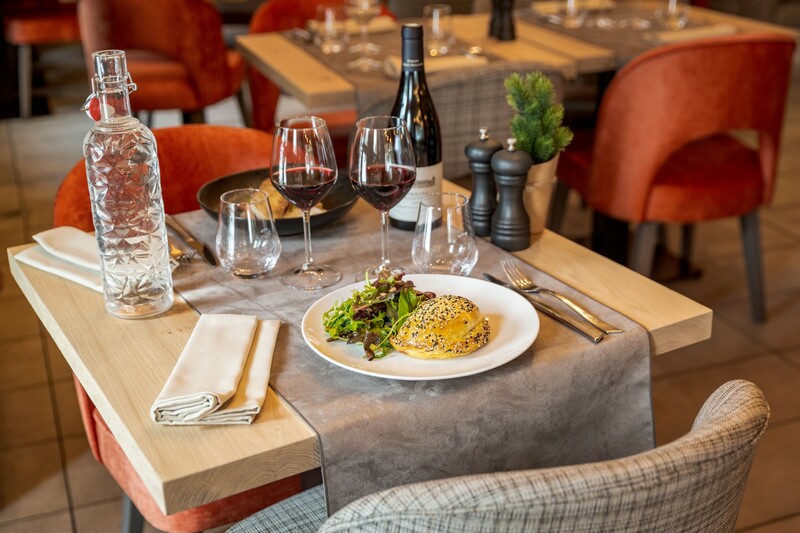 The Chef, Thomas Tricault, elegantly combines savoyard culinary flavors, fresh seasonal produce and novelties to delight your taste buds. Thus we offer you to enjoy your dinner as a couple, with family or friends… simply, without moderation, in the heat of the fire or under the illuminated veranda! Good things warm men and nourish their hearts. 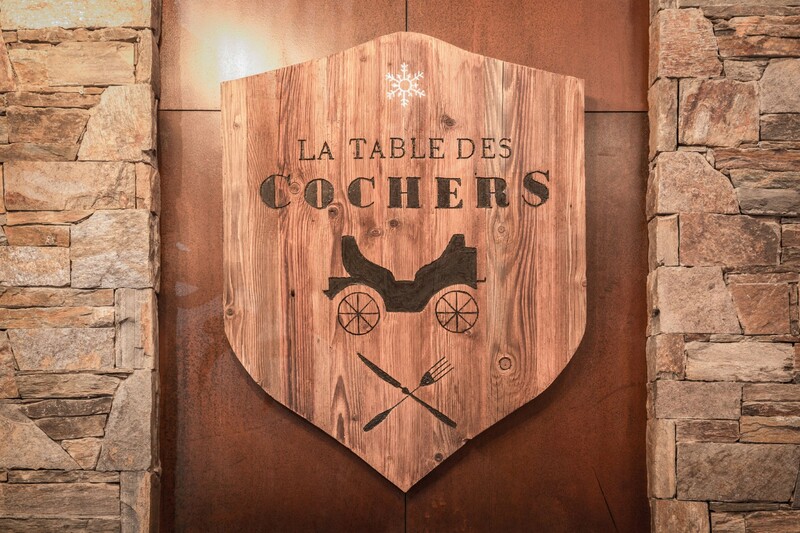 La Table des Cochers will be open 7 days a week during the winter school holidays and from Tuesday to Sunday the rest of the winter season. The Bar des Cochers is open 7 days a week during the winter season. 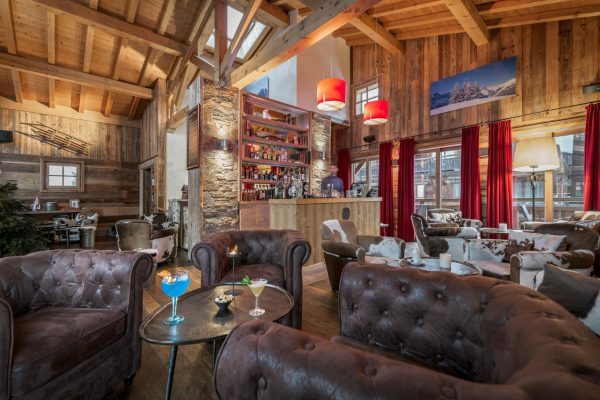 At the Bar des Cochers, hot drinks, soft drinks, appetizers, cocktails and other spirits are served 7 days a week from noon to midnight. 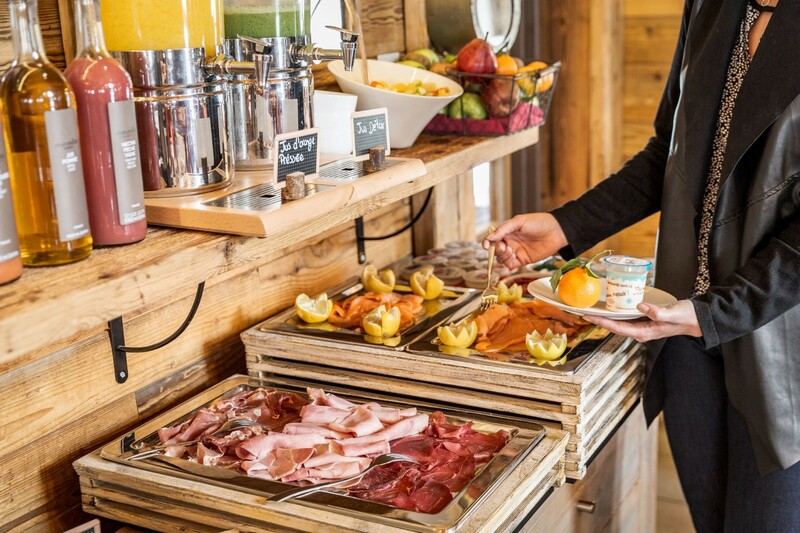 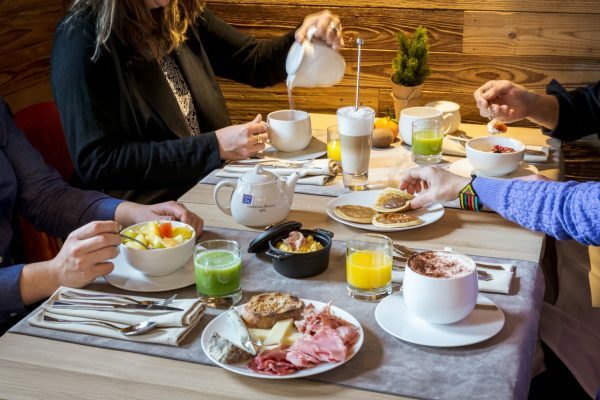 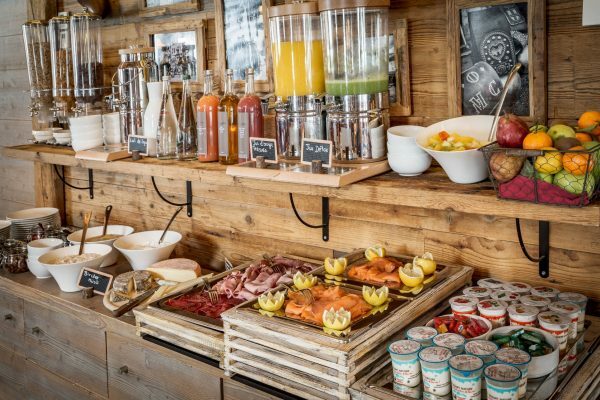 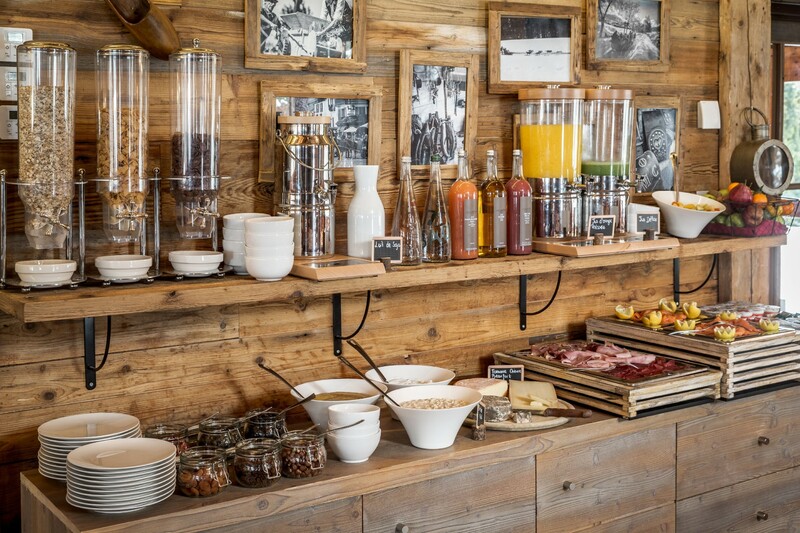 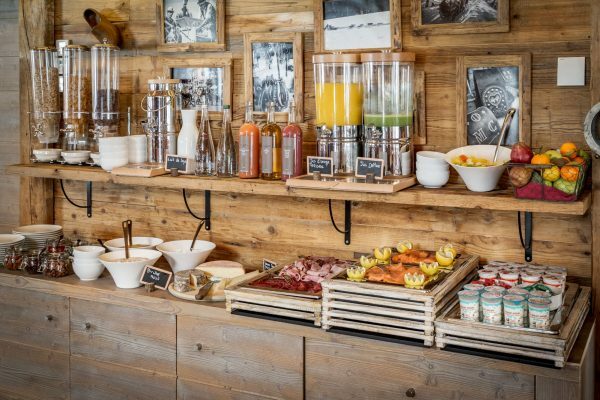 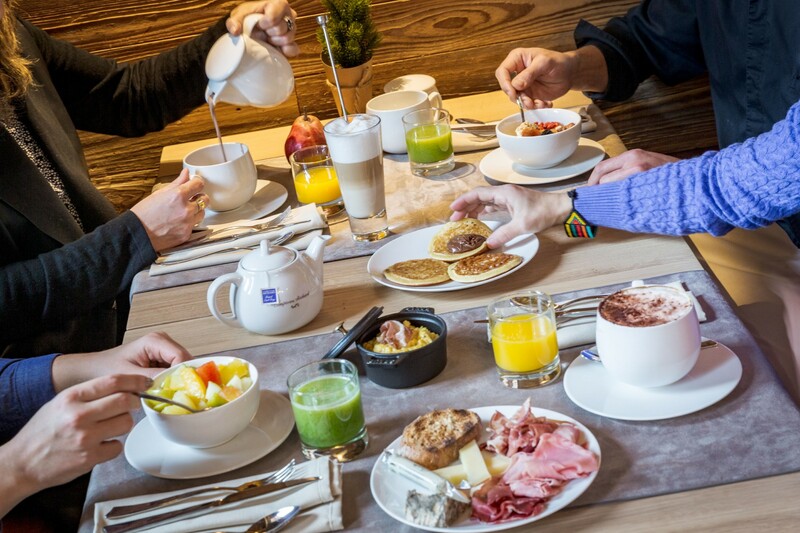 Snacking à la carte served continuously from 12h to 18h completed by afterski on the return of the tracks as well as punctual and gourmet animations concocted by the Chef.